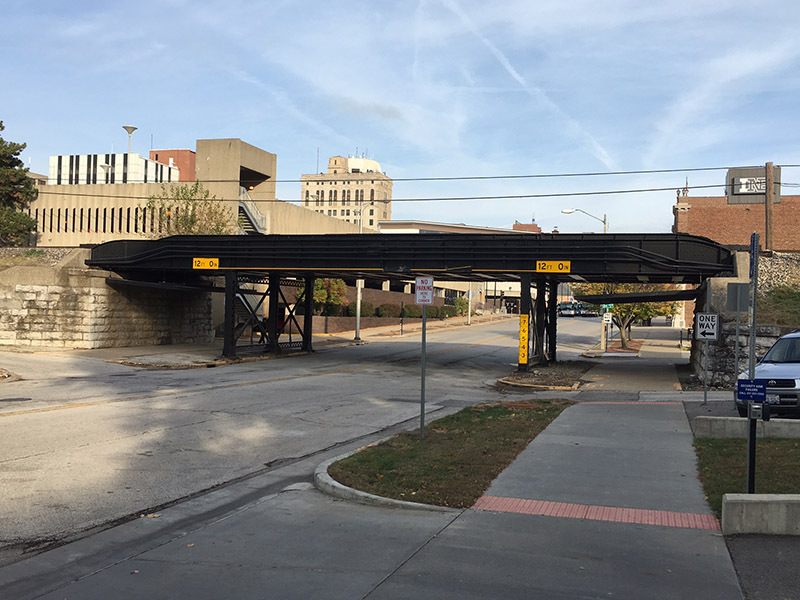 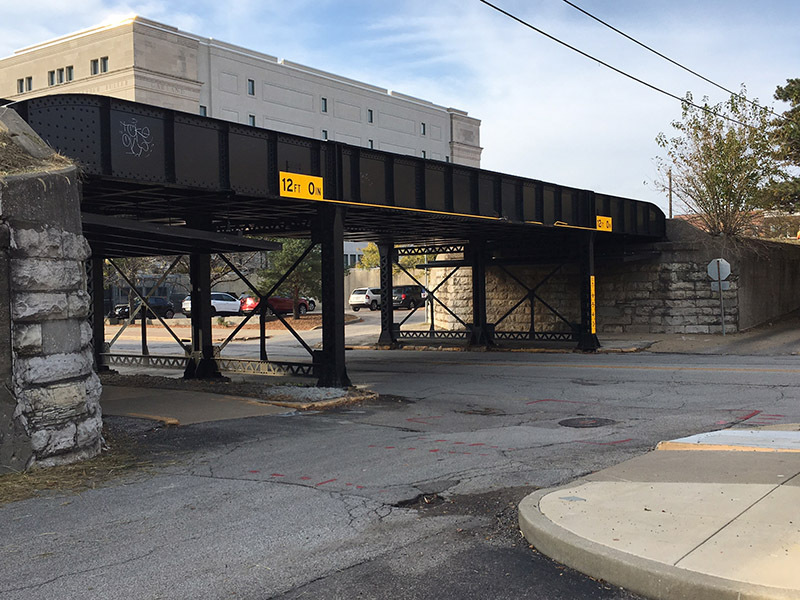 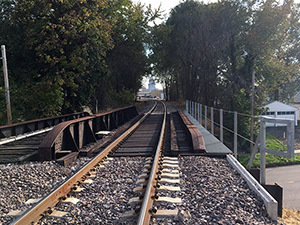 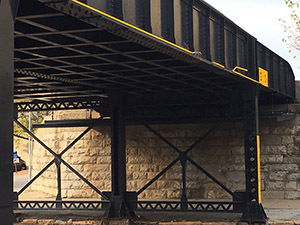 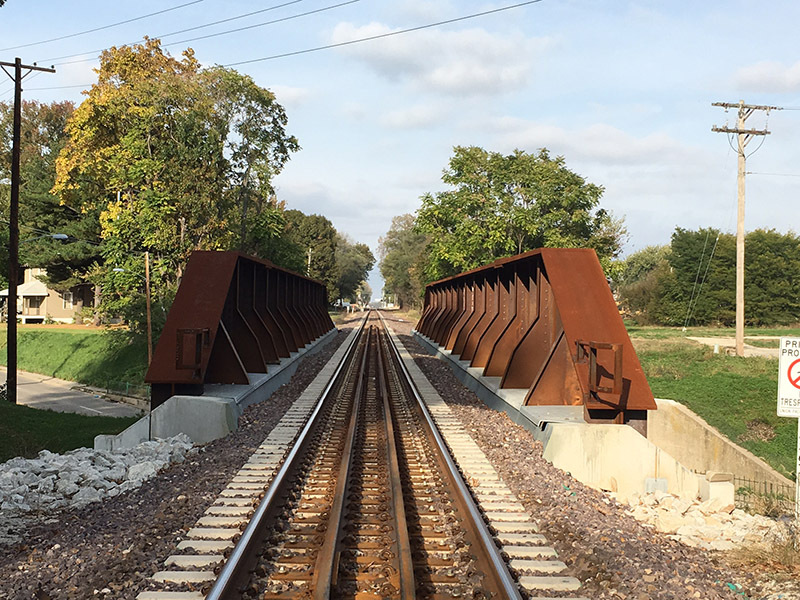 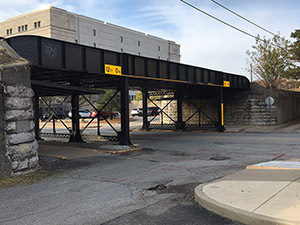 Halverson Construction was involved in the bridge construction throughout Springfield, Illinois, as well as in Alton, Illinois for Union Pacific Railroad as part of their Accelerated Bridge Packages on the Illinois High Speed Rail Project. 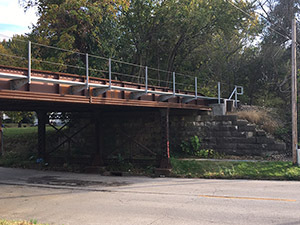 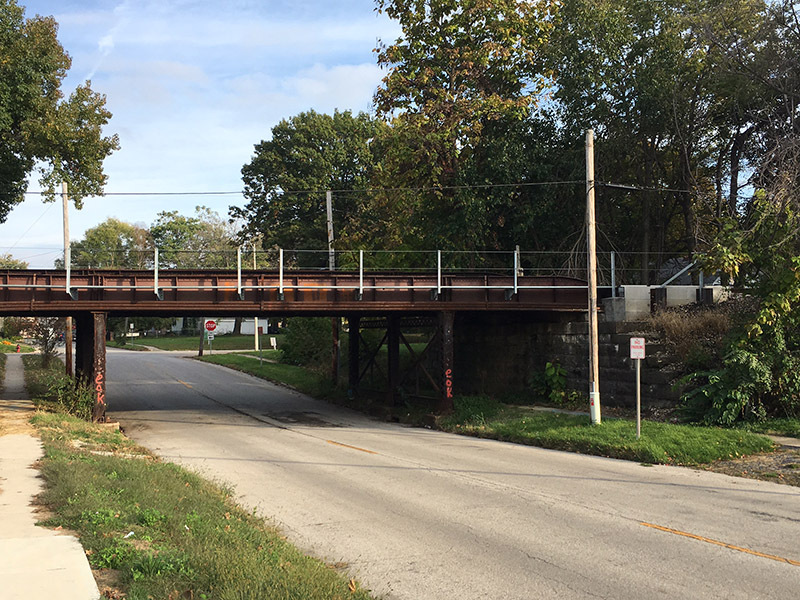 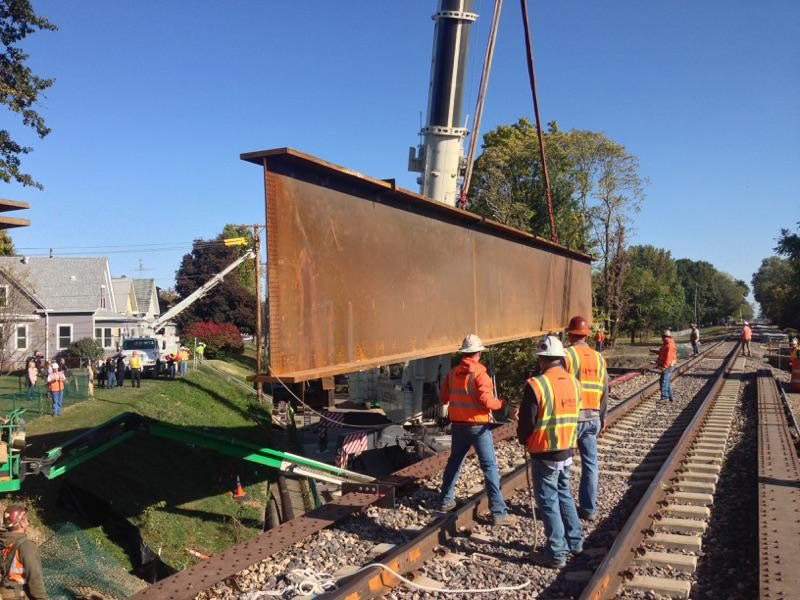 The scope of work for this structure location included the removal of the existing four span single track TPG-BD x 115'-0" bridge, as well as an attached siding structure which was no longer in service. 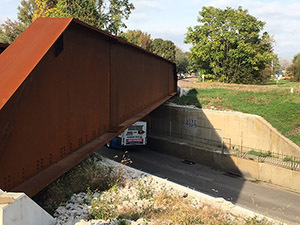 The substructure consisted of cast-in-place abutments and precast back walls and wing walls. The structure itself was a single span TPG-BD x 188'-0" and was erected offline on temporary structures. 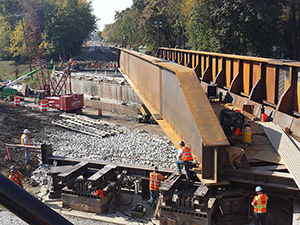 Substructure work included the construction of concrete drilled shafts at each abutment to allow future expansion of the State Road below. 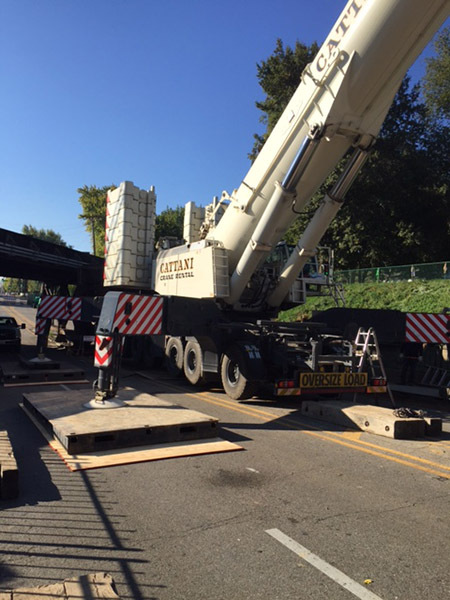 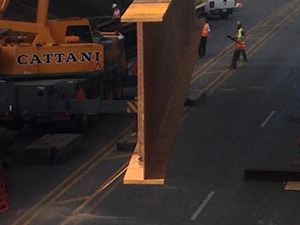 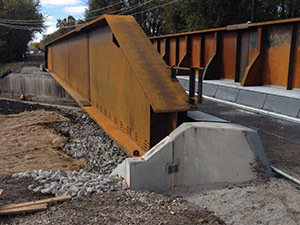 This project was phased work and required the installation of jump spans to allow the substructure and abutments to be installed without affecting train movements. 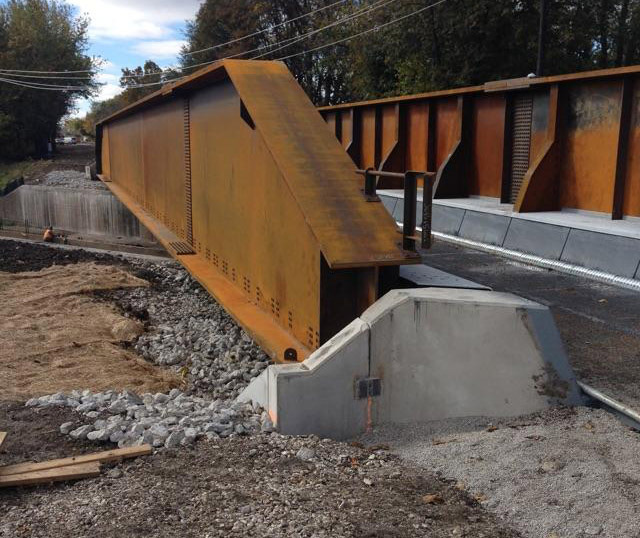 Once the substructure and cast-in-place abutments were completed and the new TPG-BD was complete, the structure was rolled into place on Hillman rollers and set on the bearings. 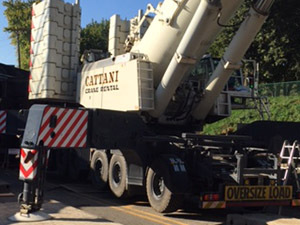 Work schedule and critical path items were completed ahead of schedule and did not affect any train schedules. 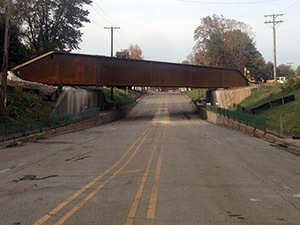 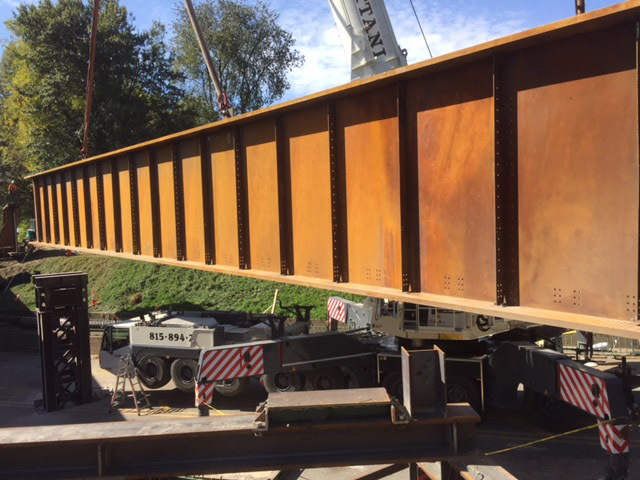 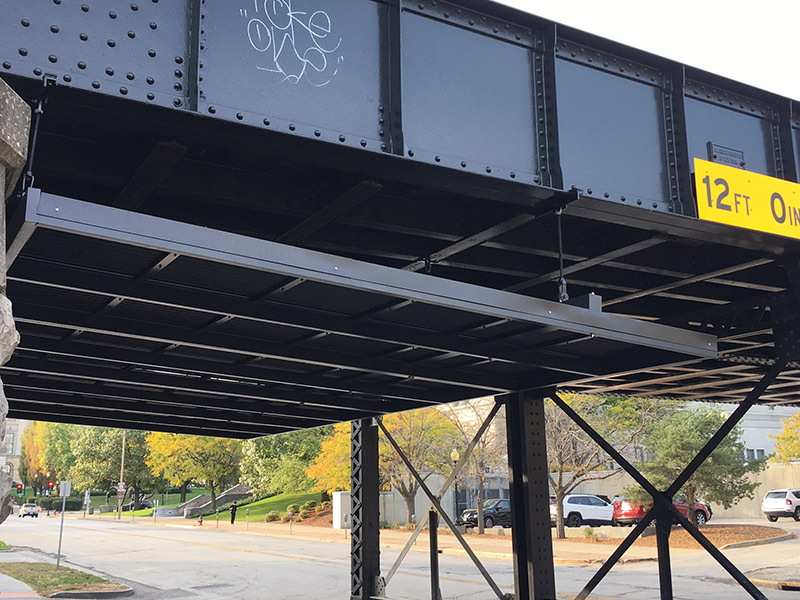 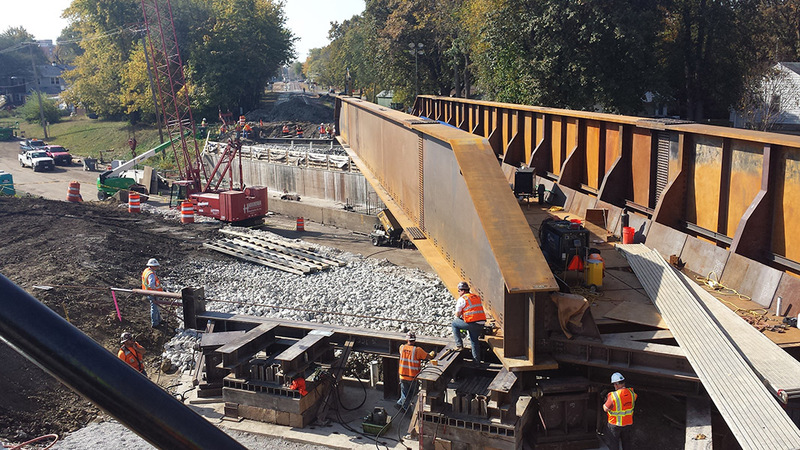 The scope of work for this structure location included the removal and replacement of bridge ties on an open deck three span TPG x 69'-0" through a curve. 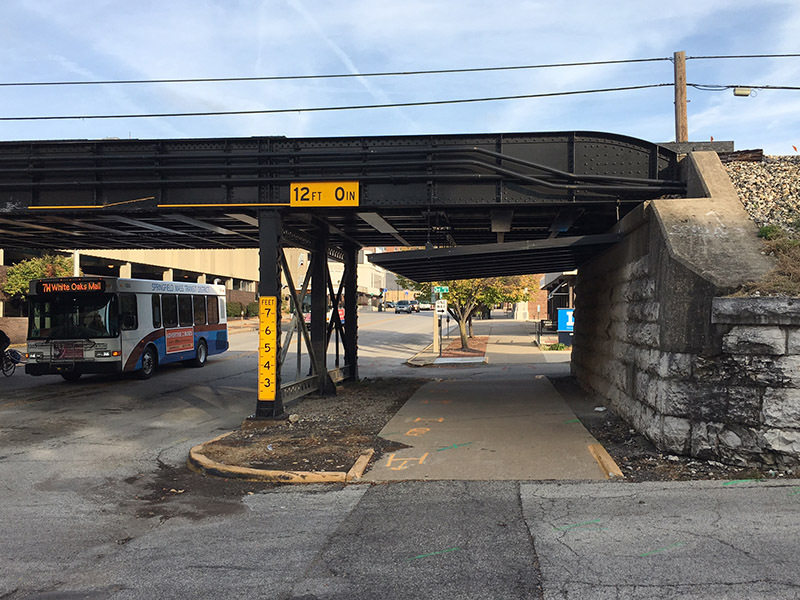 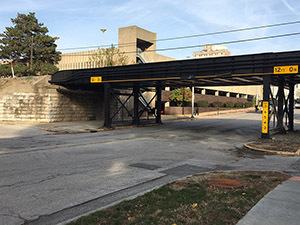 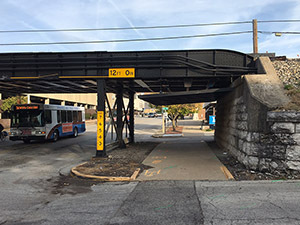 The existing tie spacing was set for a true open deck layout, the replacement ties provided a solid deck to protect pedestrian traffic below. 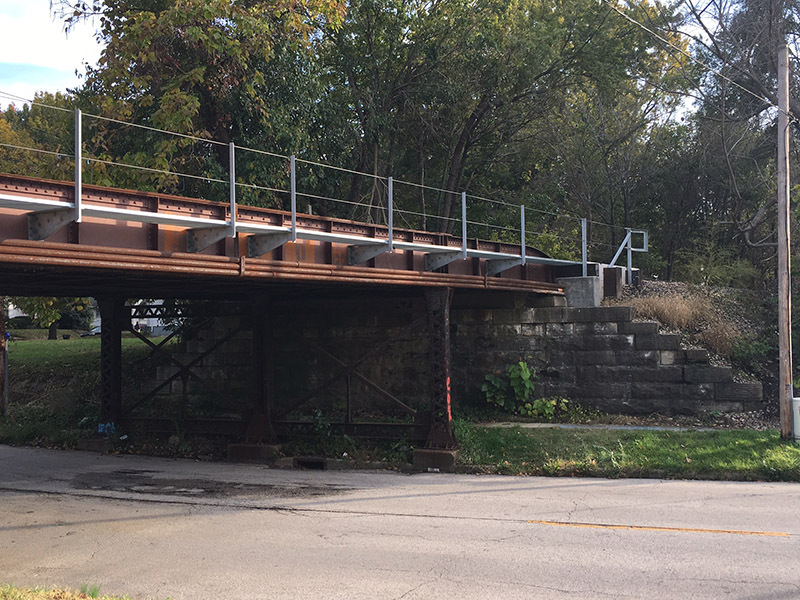 In addition, the scope of work included the installation of metal hand railing and walkway, concrete repairs to the existing wing walls, and the installation of pre-cast wing wall planks. 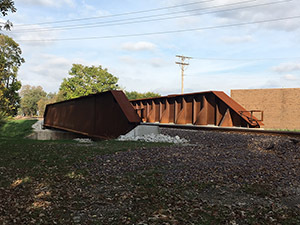 The scope of work for this structure location included the removal of rivets and replacement with high strength bolts, and the installation of cover plates and bracing the stringers and floor beams throughout the existing three span TPG-BD x 87'-0" structure. Upon steel repair completion the structure was scraped and blasted for a final time and painted per city specifications. 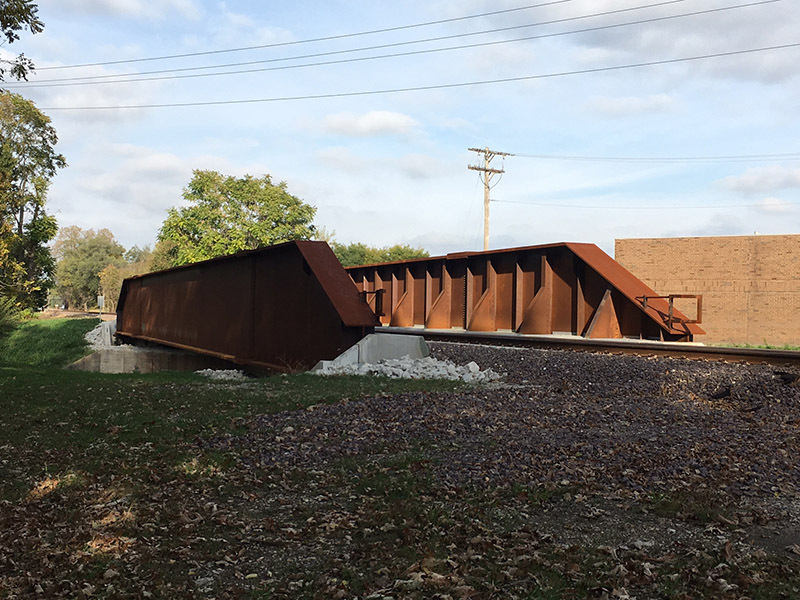 The scope of work for this structure location included the removal of the existing three span single track DPG-BD x 106-8" bridge and construction of cast-in-place and precast concrete substructures and installation of a 3 span x 155'-0" DPG-BD and PCB-BD superstructure. 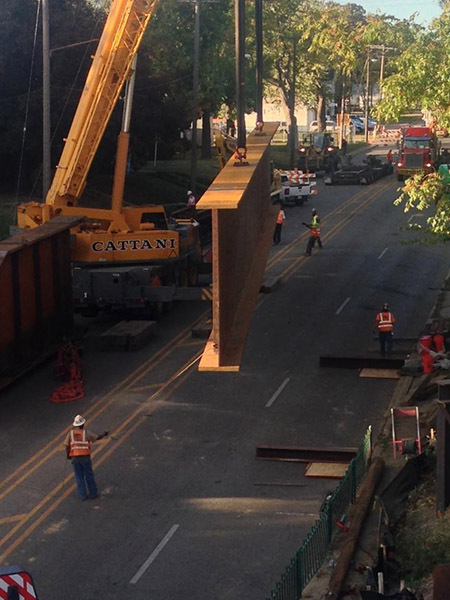 The span arrangement was 35' (PCB)-84' (DPG)-35' (PCB). 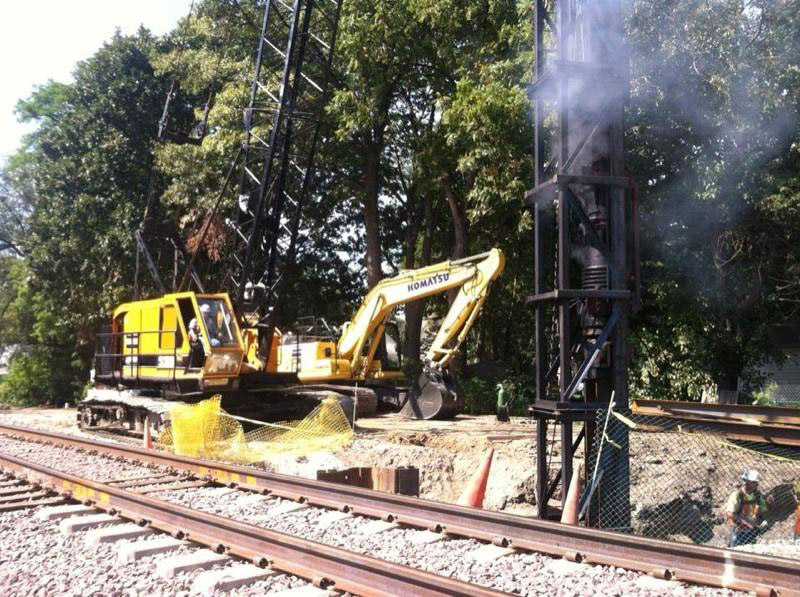 The substructure work required installation of steel H-piles and construction of cast-in-place concrete drilled shafts. 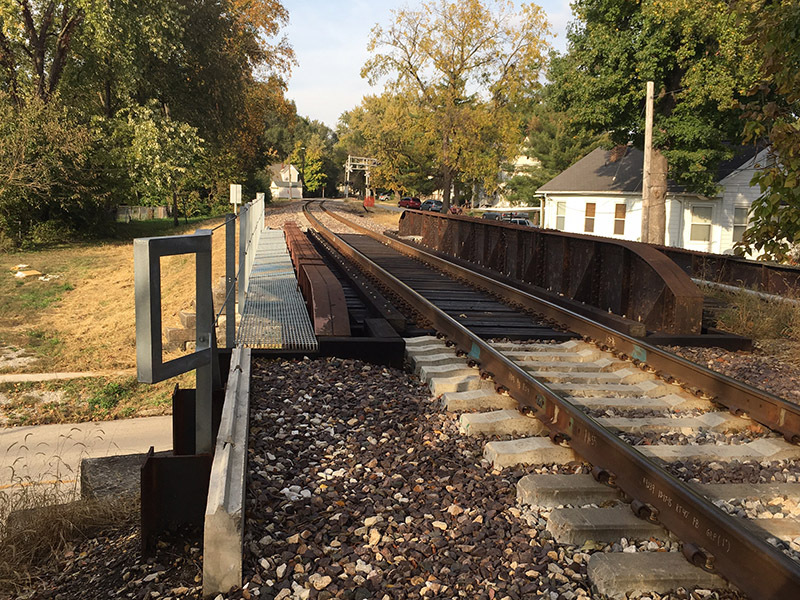 Due to design issues, the existing city utilities had to be replaced as well, which included water and sewer lines.